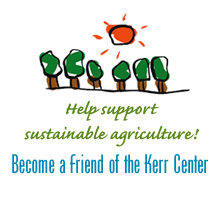 Happy Thanksgiving from the Kerr Center! This month, David Redhage reviews a book that looks at techniques for restoring soil life in different regions and climates the world over. We share some of the livestock team’s results from a comparison of cost and nutrition in grazing wheat pastures versus feeding hay. 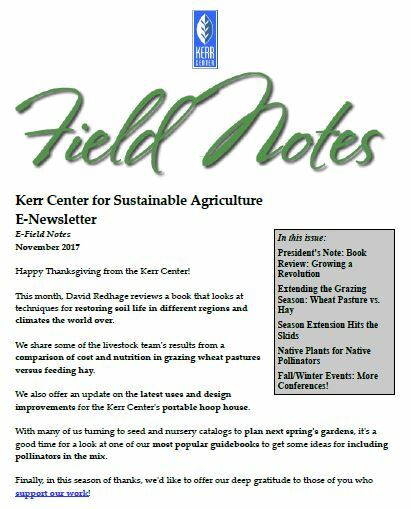 We also offer an update on the latest uses and design improvements for the Kerr Center’s portable hoop house. With many of us turning to seed and nursery catalogs to plan next spring’s gardens, it’s a good time for a look at one of our most popular guidebooks to get some ideas for including pollinators in the mix.